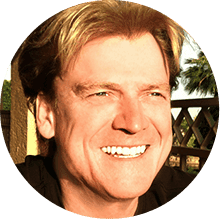 From the time Overstock.com was born in 1999 in Salt Lake City, Utah, we have grown to be a 2 billion dollar company, employing over 1,700 people working full-time. As we've grown, our colleagues have been scattered to as many as four locations at one time. Today, Peace Coliseum brings us together in one harmonious, collaborative workspace. Our global headquarters was designed to be an open, welcoming space that sparks creativity and innovation. This 231,000-square-foot structure resembles a classic Roman coliseum from the ground and the iconic peace symbol from the air. While flying overhead, newcomers to Salt Lake City can see the peace sign, and a bit of the soul of Overstock, at the center of our corporate headquarters. With a commuter train station closer than the parking lot, our new campus encourages employees to decrease air pollution by utilizing public transportation. The View Dynamic Glass in our office building's windows will tint based on the sun's orientation, the time of year, and the local weather conditions in order to save on energy costs and provide employee comfort. Relax by the fire pit or the koi pond. Just take a break to find that perfect balance between professional and personal well-being. We're building a greenhouse on campus to grow fresh fruits and vegetables for our nutrition-focused cafe. Community gardens will be close by for colleagues with a green thumb. We've added a 5,000-square-foot fitness center to our headquarters so that employees can burn calories on the elliptical machine, stretch in the yoga room, or take a jog on the outdoor trail. The on-site health clinic and daycare center helps everyone at Overstock keep our busy lives on schedule by eliminating all those extra trips. The construction of Overstock's new headquarters required approximately 14,000 cubic yards of concrete combined with over 50 miles of the cable that reinforced the decks. It took a lot of planning and resources to erect our modern glass-and-concrete coliseum, and we are so excited to bring life to this dynamic workspace. The Coliseum represents the duality of man; the dichotomy of the coliseum representing toughness, strength, and boldness, while the peace sign represents gentleness, peace, and love. As trailblazing residents of Utah's Silicon Slopes tech industry, we're dedicated to enjoying and protecting our home state's beautiful desert-mountain environment. Overstock.com's campus features VRF air conditioning units and xeriscape landscaping that will ultimately conserve nearly 16 million gallons of water each year. Peace Coliseum will run efficiently, saving money while operating sustainably. Overstock is committed to supporting Utah's economy, so we hired local businesses to build our corporate headquarters. Gardner Company offers expertise in real estate development; EDA Architects INC. is responsible for the iconic design of Peace Coliseum; and Okland Construction brings the planned design to fruition. All three companies are based in Salt Lake City, Utah.